Chivayo absolved by court of any criminal liability in the US$5,6 million fraud charge involving Zimbabwe Power Company (ZPC)’s Gwanda solar project. Intratrek managing director Mr Wicknell Chivayo was yesterday absolved of any criminal liability in the $5,6 million fraud charge involving Zimbabwe Power Company (ZPC)’s Gwanda solar project. 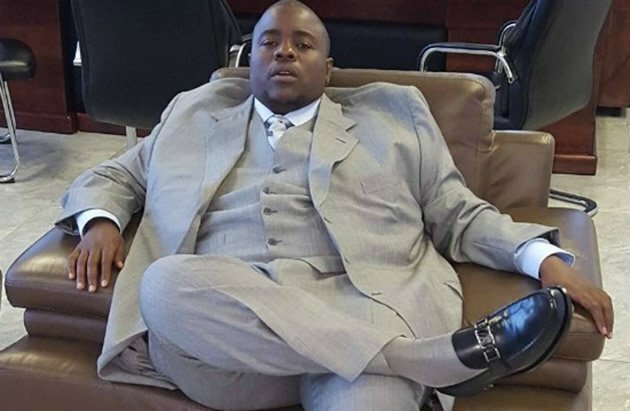 Mr Chivayo was facing three counts of fraud, while the other two counts of breaching Exchange Control regulations suffered a stillbirth, shortly before the trial commenced. It was also the court’s finding that considering the circumstances of Mr Chivayo’s case, allowing prosecution or at worst his conviction would amount to violation of Section 42 of the Constitution, which provides protection upon the doctrine of sanctity of contracts while the judgment underscored that criminal sanctions would not apply in inherently civil cases as the present. Mr Chivayo had in the lower court attempted to quash the charges through an application for exception, but this was thrown out by magistrate Mr Lazini Ncube, presiding over the trial. This prompted Mr Chivayo, who was being represented by Advocate Lewis Uriri instructed by Mr Wilson Manase, to challenge the decision at the High Court, seeking a review of the lower court’s proceedings. Justice Owen Tagu ruled that the decision of the lower court in dismissing Mr Chivayo’s application for exception in November last year, was defective as the facts could not sustain a criminal suit. He cleared Mr Chivayo of any wrongdoing and threw out the State’s case for want of merit. “It is ordered that the second respondent’s ruling of 19 November 2018 in case Number CRB p9114-5/18 be and is hereby set aside. In the result, the exception succeeds. The charges be and are hereby quashed. Consequent to the accused’s plea, both accused be and are hereby acquitted”. In his ruling, Justice Tagu noted that in the civil suit in which Chivayo won against ZPC, the complainant denied ever instituting criminal suit against the businessman and his company. He said it is a pinnacle of criminal procedure that for a person to be competently charged and tried of a criminal offence, there should be a person (natural or juristic) who should complain of a criminal conduct of the accused. “It invites confusion and uncertainty on how the State formulated the charges preferred against the accused persons if the known complainant has denied ever instituting the same,” he ruled. Justice Tagu also noted that two different judges of the same court in separate sittings and dealing with different issues, but relating to a similar cause of action concurred on the lack of merit in the criminal case. This, he said, was no coincidence. “Rather, it demonstrates the extent of common acceptance that the criminal case is at best…, a high sounding nothing,” said Justice Tagu. He said the charges, which arose from a civil dispute and incapable of being resolved through the criminal justice system, were contrived and properly excepted to. “The relationship between the complainant and both applicants is contractual therefore any remedy for a dispute arising therefrom should be a civil and in terms of the contract. “The State cannot be enjoined through the apparatus of the criminal justice system to determine contractual obligations,” he said. The facts, said the judge, did not disclose any criminal offence. “It seems compelling that having a civil matter determined by the State through the criminal justice system is not only wrong but sets a dangerous precedent if not tamed at its inception,” he ruled. The judge added that if the courts allowed such prosecutions to occur in this country, no investor would open themselves to the extreme exigencies of having the fate of their investment determined by a criminal court where, inter alia, the standard of evidence should be beyond reasonable doubt. When contacted for comment, Chivayo apologised to President Mnangagwa, Transport and Infrastructural Development Minister Joram Gumbo, Prosecutor- General Mr Kumbirai Hodzi, ZPC and the nation at large for the delayed implementation of this solar project of National importance. “With this development we remain committed to execute project and feed in a 100 MW of clean energy into the national grid within the shortest possible time,” he said. MDC SG Mwonzora has declared all suspensions and expulsions made ahead of MDC’s May elective congress null and void.